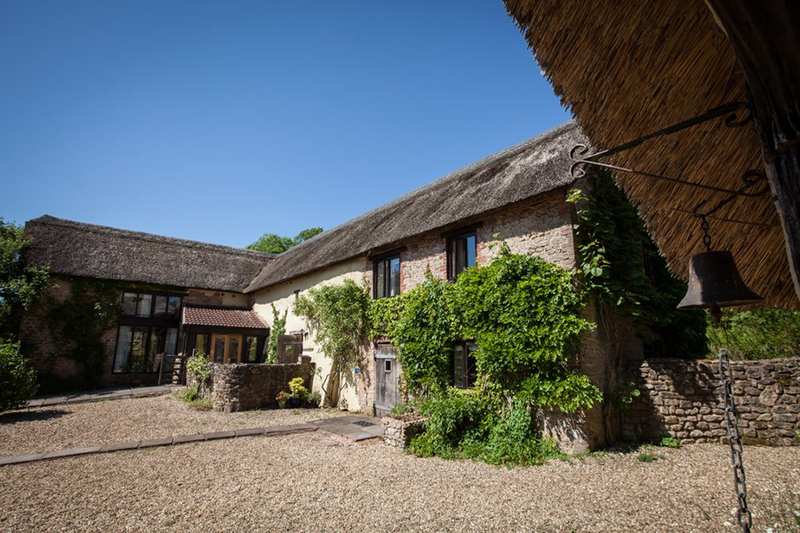 Our lovingly restored thatched barns will make a wonderful home from home for your family in the heart of Devon’s beautiful, rural countryside. Whether it’s a cosy getaway for two or the extended family and the dogs that need to be accommodated we have the right space for you. Set within 30 acres of farmland and on the edge of the Blackdown Hills, Halsbeer Farm is the ideal place from which to explore Devon’s picturesque countryside. Either on foot in the neighbouring Blackdown Hills, or by car with historic Honiton and the majestic Jurassic coast but a short drive away. We also have a heated indoor swimming pool to keep the kids entertained closer to home and ample space to kick a ball around in or take the dogs for a well deserved walk. 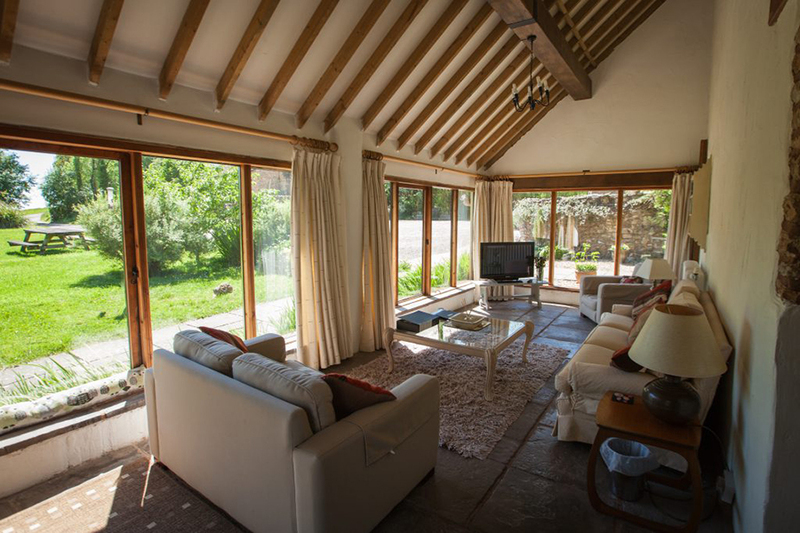 Our converted barns, Hay and Swallow, and the cottages, Cider and Apple, used to be an integral part of the working farm and form two sides of a pretty courtyard. The original farmstead dates back to the Doomsday Book although a lot has changed since then. 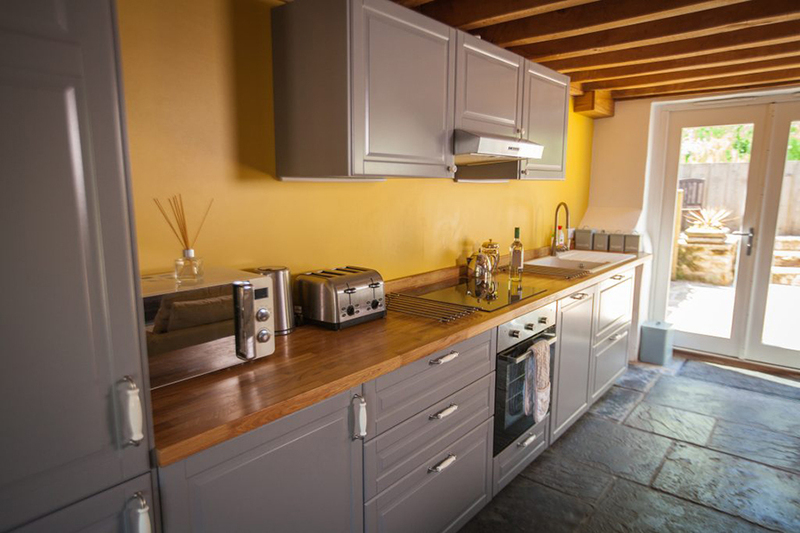 Sleeping 7, 6, 6 and 3 respectively the cottages have been carefully restored with flagstone floors, oak beams and furnished with beautiful beds and ample furniture. Relax in-front of the TV, get online on your laptop, play in our games room, cook up a storm in our well equipped kitchens or simply relax with a book in our communal conservatory overlooking the duckpond. This really is a wonderfully peaceful place that we live in and we hope you will come and share it with us. It has a great atmosphere and all the facilities one needs to enjoy a break away from daily life.